In this video, Jay ties a Chinook Style Dragon Tail pattern using Mangum’s UV2 Dragon Tails. This is essentially a Clouser fly on steroids! 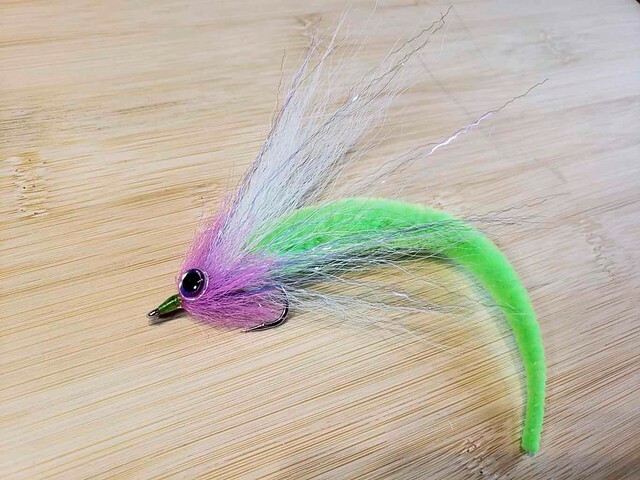 Tied using classic Chinook colors – pink and chartreuse, this is a bold option for the hungriest of Chinook! Give this pattern a try next time your at the vise.